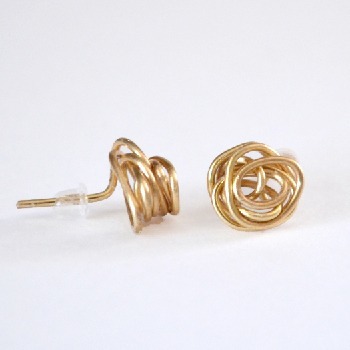 Today we’re going to make a really simple pair of knot stud earrings! The more I get into something, like, say making jewelry, the more I want to be able to do. I never would have been content to simply make beaded jewelry. No, I also need to cast my own bangles and make a pair of earrings from nothing but jewelry wire. Now I tried to follow a tutorial that I had found online that suggested that I use 20 gauge wire. I was surprised at how easily I was able to make the shapes using jewlery pliers as directed. I ran and popped my new earrings in my ears and tried to push on an earring back, only to find that I had bent the wire up behind my earlobe. And somehow I really, really bent that sucker on, too. It turns out that the wire is a weensy bit too soft for backs to slip on. To say I freaked out is an understatement. I started pulling at it and got all panicky and now my left ear lobe is hot and experiencing a mild amount of pain. But you live and learn, right? I was putting my new 20 gauge jewelry wire back into my jewelry tackle box when I saw some 18 gauge wire. It was a bit thicker and considerably sturdier. Now honestly I probably purchased the wrong 20 gauge wire to begin with because I just don’t know that much about jewelry wire, but what I do know is that this particular 18 gauge wire worked perfectly and I’m linking to the exact wire I used to be safe. 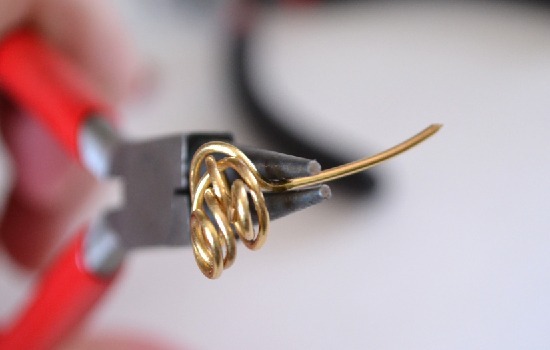 Wrap the wire around your rounded jewelry pliers in a haphazard manner. Just keep track of the number of times you go around to keep your earrings consistent. Remove from the pliers and using your fingers or the pliers themselves smash the knot to flatten out as much as you can. 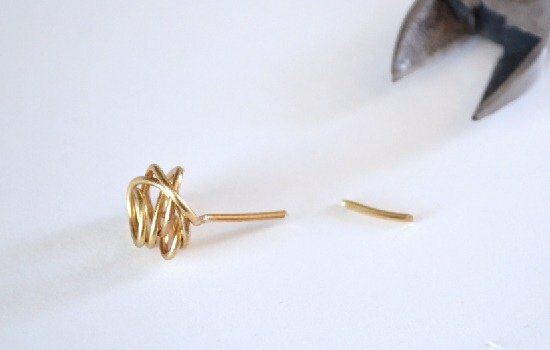 Cut off about an inch of wire and continue to make the second knot for the second earring. 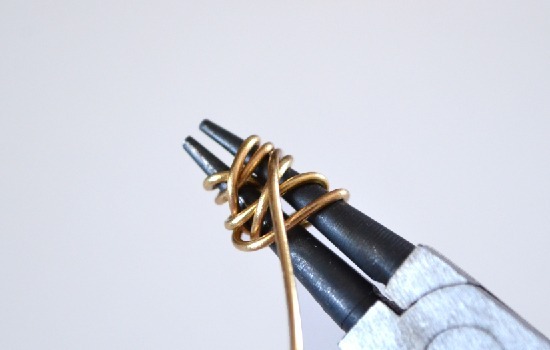 Take the wire and bend to form the post that will go into your earlobe. 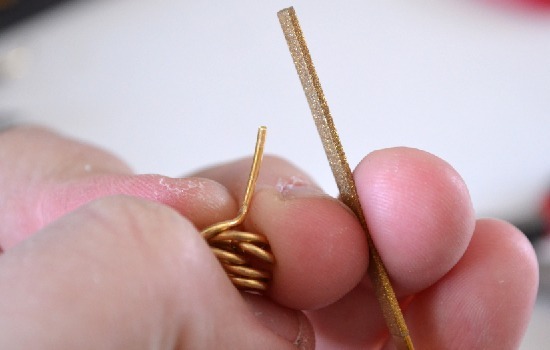 Trim the posts to be a standard earring size. Use your jewelry file to knock away any sharp edges. I was told that not everyone does this but that it is highly advisable. I went ahead and got an inexpensive set because I figure it’s better to be safe than sorry. Place your earring backs on. See on my back post isn’t 100% straight? It’s no biggie and works perfectly well. You can’t tell when they’re on. And there they are! They aren’t the simple geometric shapes I had hoped to make, but I’m pretty happy with these for my first attempt. Plus, they look kind of like roses! Thanks for checking out my first attempt. 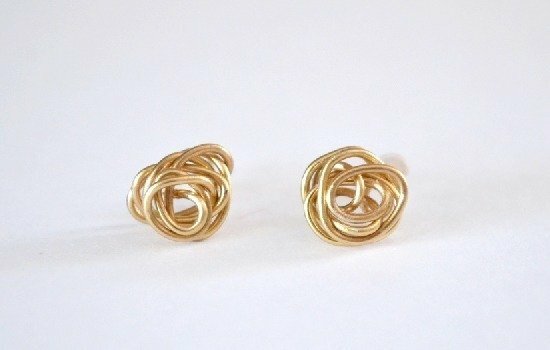 Will you be making some earrings? love these! they do look like roses. Thanks for sharing, I can't wait to make these myself. Now that is thinking outside the box! Great idea! Posting on Twitter is your second great idea (I'm sure you have others). 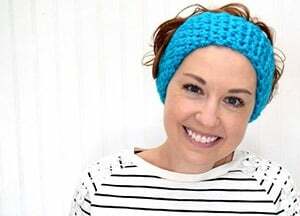 Hi Allison, beautiful earrings! (I make some of the rings like these!) LOVE THEM!! Just thought I'd share, I didn't have my files one day..(lost them ,typical me!) So I use a sapphire nail file, the kind that are metal with the plastic grip…& it worked fab!!! So now I save a lot of $$ cuz they sell them at the dollar store here & they last for a while! Thanks so much for sharing your earrings! Thanks so much, Christa! Good to know about the nail files. I lose things like crazy (seriously I have 6 jump ring tools because I always have at least 4 lost at any given time :) so an easily available and cheap option is fantastic! Great Idea I just made a pair using black 18 gage wire. They turned out so cute. Thanks for the great tutorial. Hi allison, am from nigeria(west africa). 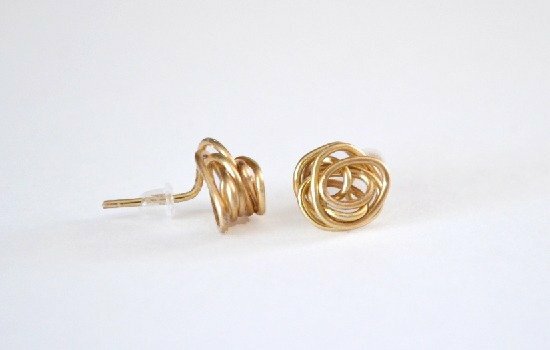 i have been looking for how to make stud earrings for a long time. thanks for sharing. i can’t wait to try it! I’m so glad that the tutorial helped you and I wish you the best with your new earrings! I made a necklace just like this – I made the center large enough for either a chain or a thick cord, but ended up just using a jump ring anyway. I called it a Love Knot necklace, and got compliments at the wedding I wore it to (not mine). How lovely, if you get a chance I’d love to see a photo! Great tutorial! I’ve been disappointed with the so few products and findings in local stores to make earring posts. This solves my problem!! I have a hard time, too. I am so happy that this is solving your problem! Thank you so much for this simple tutorial. 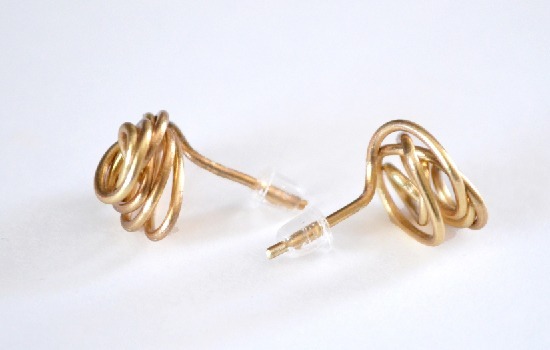 I love the simplicity of these earrings and it opens my mind up to more ideas! Best of luck with your studs, Helen! I made these last Sat to wear for my Birthday but I put a garnet bi cone crystal in the middle.. everyone loved them! Oh, gosh. That sounds fab. Send me a pic?? Just wondering how much wire I need to make these. I want to make them in gold. Honestly it doesn’t take much at all. It’s been some time since I did this but I distinctly remember I didn’t use more than one spool/package.